Leading water organizations collaborate to produce a step-by-step guide for developing a local program to manage on-site water systems. As strains on centralized water and wastewater facilities increase, many cities are looking for new ways to develop and manage local resources. One of those strategies is integrating smaller, distributed on-site water systems into broader centralized systems. The Water Environment Research Foundation (WERF), through its sustainable integrated water challenge, seeks to facilitate this kind of change by acting as a catalyst for a paradigm shift in water management for cities and towns toward sustainable systems that integrate wastewater, stormwater, drinking water, as well as other infrastructure (i.e., energy, transportation, parks, etc.). WERF and the Water Research Foundation (WRF) are working closely together on this significant research effort. Today, buildings in New York, San Francisco, Santa Monica, Seattle, Tokyo, Sydney, and many other cities throughout the world are collecting and treating water on site to serve their own nonpotable needs in place of using potable water. WERF, WRF, and the San Francisco Public Utilities Commission recently released a joint project entitled Blueprint for On-site Water Systems to assist communities with developing a local program to manage and oversee on-site water systems that protect public health. Creating a local program to manage on-site water systems offers a proactive way to increase water resiliency and promote green building practices while protecting public health. The development of such a program should follow a sequence of steps that will inform critical decisions regarding the scope, structure, and implementation of the program. Augmenting existing water supply portfolios by treating alternate water sources for beneficial use. Treating water only as needed for its end use application. Reducing potable water consumption for toilet flushing and irrigation. Minimizing stormwater flows to combined and separate sewer systems and/or storm drains. Increasing resiliency and adaptability of our water and wastewater infrastructure. Convene a working group: Establish a small working group to guide the development of the local program. Select the types of alternate water sources: Narrow the specific types of alternate water sources covered in the program. Identify end uses: Classify specific nonpotable end uses for your program. 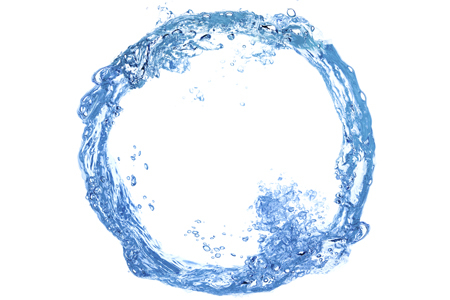 Establish water quality standards: Establish water quality standards for each alternate water source and/or end use. Identify and supplement local building practices: Integrate your program into local construction requirements and building permit processes. Establish monitoring and reporting requirements: Establish water quality monitoring and reporting requirements for ongoing operations. Prepare an operating permit process: Establish the permit process for initial and ongoing operations for on-site water systems. Implement guidelines and the program: Publicize the program to provide clear direction for project sponsors and developers. Evaluate the program: Promote best practices for on-site water systems. Grow the program: Explore opportunities to expand and encourage on-site water systems. The San Francisco Public Utilities Commission (SFPUC) provides retail drinking water and wastewater services to San Francisco, green hydroelectric and solar power to San Francisco’s municipal departments, and wholesale water to 27 cities, water districts, and private utilities within three neighboring counties. In 2012, SFPUC spearheaded an effort to create a local program for regulating on-site water use called the Nonpotable Water Program. Other sources as approved by the San Francisco Department of Public Health (SFDPH). Developers and designers are responding to San Francisco’s program by incorporating innovative on-site nonpotable water use systems into their projects — such as treating graywater for toilet flushing or using rainwater for spray irrigation. More than 20 new developments in San Francisco are proposing to collect, treat, and use a variety of alternate water sources for nonpotable applications. For its momentum in San Francisco and worldwide and as a sustainable solution in the age of water scarcity, the Blueprint for On-site Water Systems is much more than the name suggests. It’s a blueprint for the future. Theresa Connor, PE, is the WERF program director for Stormwater and Decentralized Systems as well as Sustainable Integrated Water Management. Research areas include green/gray infrastructure issues, land use planning considerations, and onsite water systems. Carita Parks, MBA, WERF communications manager, has more than a decade of experience crafting successful communications messages and strategies promoting WERF’s comprehensive water quality research program.